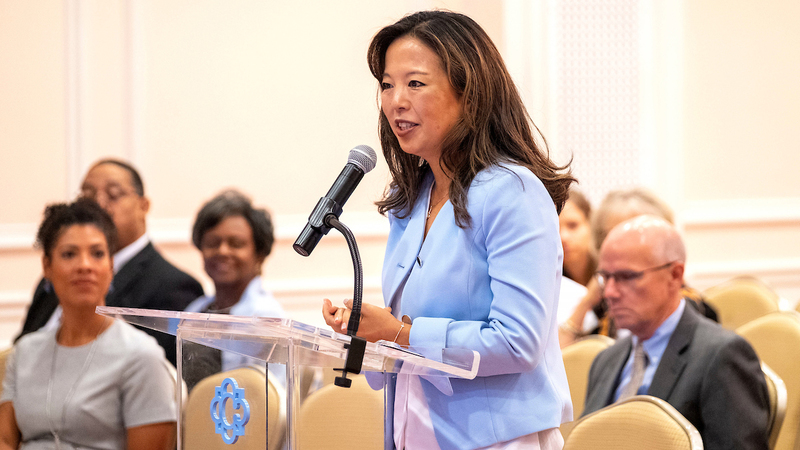 Carolina brings cutting-edge dental surgery to the U.S.
UNC School of Dentistry professor Jessica Lee is embracing an innovative procedure in pediatric dentistry, saving kids from years of follow-up surgeries and restoring their smiles — and their confidence. Wisdom teeth might not be so useless after all. Dentists at the UNC School of Dentistry are now using a technique called autotransplantation to relocate a child’s “throwaway” tooth — such as a wisdom tooth — to another spot in their mouth and repair their smiles. The procedure has been conducted in other parts of the world, but UNC-Chapel Hill is bringing it to the forefront of pediatric dentistry in the United States for the first time. Unlike a dental implant, which would need to be replaced as soon as a child outgrows it, a real tooth moved from one part of the patient’s mouth to another continues to grow with the child. And it’s not just a cosmetic procedure. Typically, when a tooth is transplanted, it encourages bone growth, which saves patients from follow-up surgeries like bone grafts later in life. The procedure is already making an impact on local patients. When a 10-year-old came to UNC Hospitals last year after a vehicle accident caused her to lose her front tooth, Lee knew that an autotransplant was the best option for the young patient. After months of preparation, Lee and small team of orthodontists, surgeons and other pediatric dentists, including an expert from Poland, came together to perform the surgery in January. Nine months after the procedure, the patient is doing great, and Lee is looking ahead to other children who will benefit from the procedure. She envisions UNC-Chapel Hill becoming a center for excellence for dental autotransplantation in the United States. Note: Lee’s team consisted of orthodontists John Christensen and Sonny Long; oral surgeon Glen Reside; pediatric dentists Beau Meyer and Siggi Saemundsson; and an international expert from Poland Pawel Plakwicz.